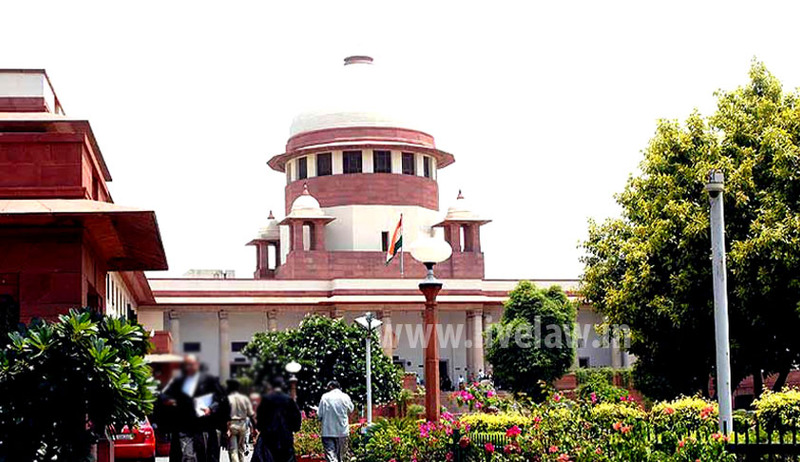 In a move that may be considered as one of the last decisions taken before President Pranab Mukherjee bestowed his assent on the establishment of the National Judicial Appointments Commission, it has come to light that Allahabad High Court Judge Justice Vineet Saran was transferred to Karnataka High Court by the Supreme Court collegiums, despite fervent objections raised by the two apex Court Judges whose opinion had been sought for the transfer. This was done despite the fact that Justice Saran had himself addressed a letter to the CJI, requesting him to be allowed to continue his service in the Allahabad High Court for some more time. The approval of the recommendation is now pending with the Government, which has to approach the President for a formal order. The President holds the authority to return the recommendation to the collegiums for reconsideration. Justice Saran was appointed as a Judge in the High Court on February 14, 2002. Due to his seniority, Justice Saran is also a member of the High Court collegium and was hopeful of being appointed as Chief Justice of a High Court in the middle of this year. He will be the senior-most local Judge once Justice Murtaza retires on March 1. One of the Judges who opposed the move is Justice S.K. Singh, who was the Chief Justice of the Allahabad High Court before being elevated to the Supreme Court. Justice S.K. Singh had reasoned that a “lobby” was at work against Justice Saran since he enjoyed a fine repute. The second Judge, Justice R.K. Agrawal had opposed the move saying that if Justice Saran was to be transferred, then the Judge who was second to him in seniority must also be transferred. Justice Saran is the senior-most Judge of the Allahabad High Court after Chief Justice D Y Chandrachud and Justice Imtiyaz Murtaza. Presently, the appointment of judges to the Supreme Court and the High Court is provided under Article 124 and Article 217 of the Constitution of India, 1950. The National Judicial Appointments Commission will be now replacing the collegium system. The National Judicial Appointment Commissions Act and the Constitution 99th Amendment Act, as passed by the two Houses of the Parliament, provides for a National Judicial Appointments Commission comprising of the Chief Justice of India and two other senior Judges of the Supreme Court next to the CJI, the Union Minister in charge of Law and Justice and two eminent persons to be nominated by a committee comprising of the Prime Minister, Leader of Opposition or leader of single largest Party in Lok Sabha and the CJI. The Supreme Court in the case of Supreme Court Advocates-on-Record Association v. Union of India construed the word “consultation” to be equal to “concurrence”. The Advisory Opinion of the Supreme Court in 1998 laid down the process of appointment, whereby the judiciary through its “collegiums” consisting of the Chief Justice and two or four senior judges, would propose names to the President, who then was bound by the decision of the Collegium. This procedure of appointment in effect, conferred upon the judiciary the power to appoint judges of the higher courts. Read more about the system here. Access the LiveLaw coverage of the National Judicial Appointments Commission here. Access the LiveLaw coverage of the NJAC here.